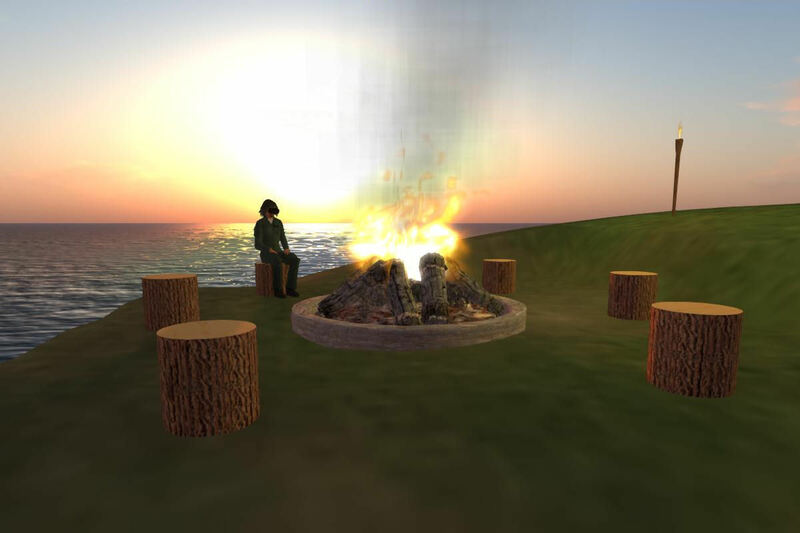 “VRLand” is a region on the OpenSim-based OSGrid provided to act as a meeting place and community hub for those wanting to test virtual reality in virtual worlds like OpenSimulator (OpenSim) and Second Life. You can visit over the “hypergrid” with any OpenSim avatar, or get yourself a (free) avatar on OSGrid and head on over to the VRLand region. 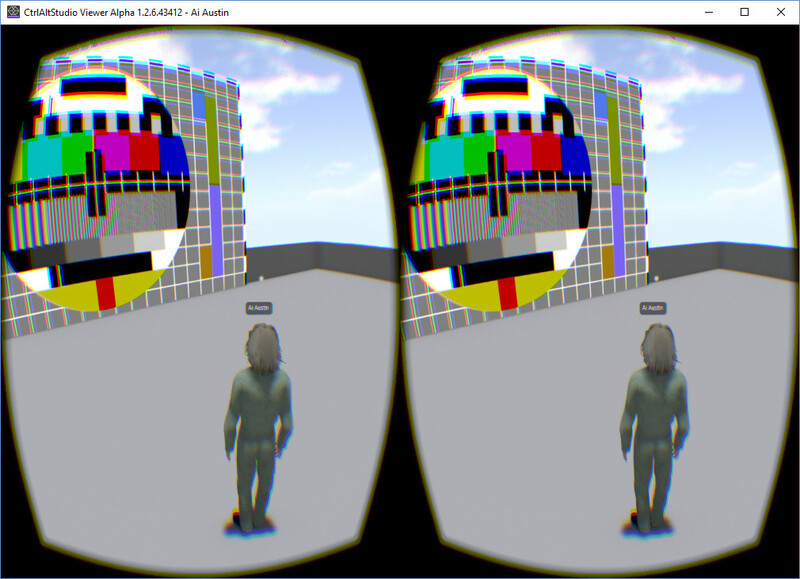 Use the CtrlAltStudio Viewer 1.2.6.43412 or later which supports the Oculus Rift DK2 and CV1 (and possibly the HTC Vive via the LibreVR/Revive compatibility tools). 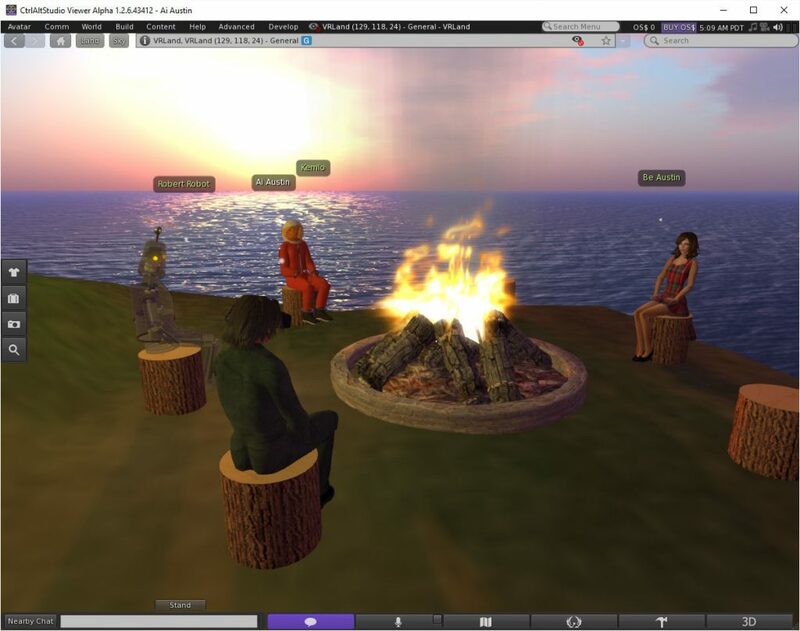 The region is set up to allow voice (using Vivox) and will be developed in the coming weeks to include a range of simple meeting spaces, some relevant items to pick up (freely) and a metrics area for performance testing and to establish virtual field of view in your headset. 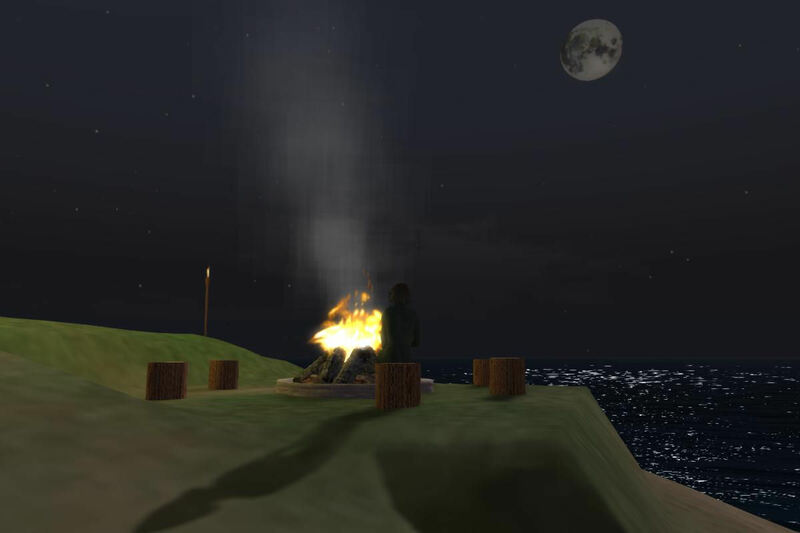 The region is placed at least 512m from the nearest adjacent region to allow for simpler performance testing, so objects are not visible on the horizon if the view range is set to 512m or less. 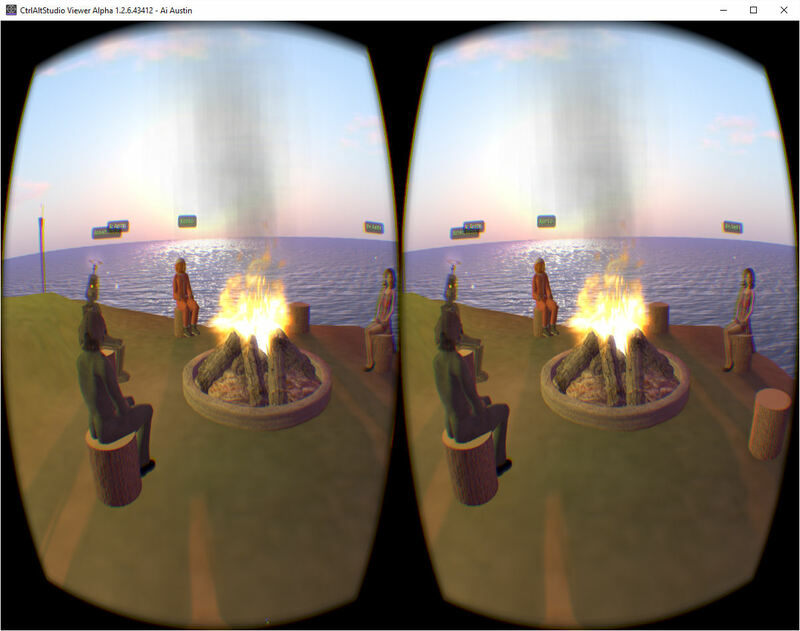 Visit and pickup the Oculus wearable HMD… and say hello in text chat or by voice to anyone else that is there! I am seeing a solid 90 FPS in the Oculus CV1 and 75 FPS in the DK2 when using “Ultra” graphics settings including shadows on both Nvidia GTX 980 and GTX 1080 GPU rigs. 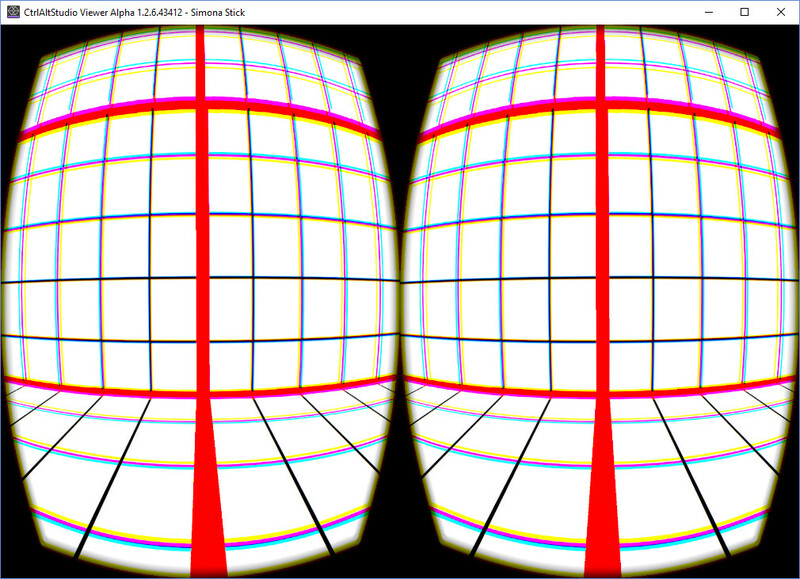 The “Application Frames Dropped” number counts up when not in VR/3D mode, no frames are being dropped for this simple scene in my testing when in VR/3D Riftlook view, even when using voice. 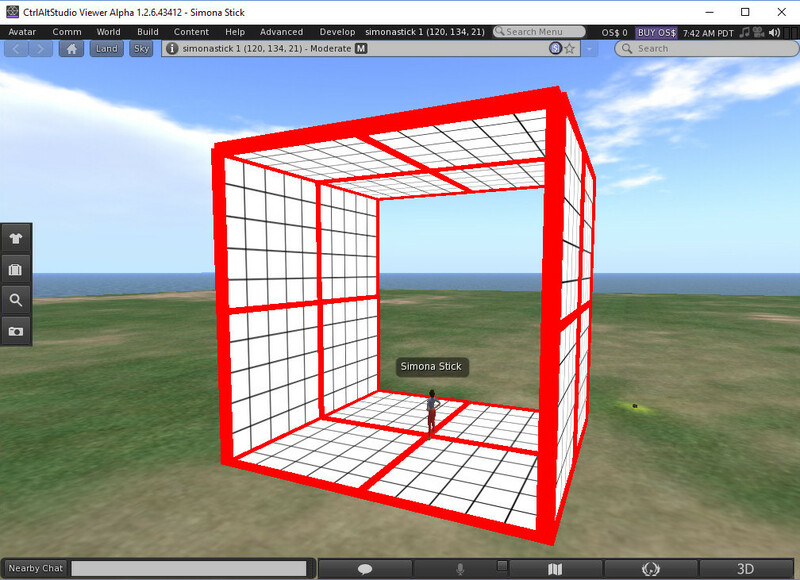 A “grid view box” test area is available at a height of 1000m (accessible via a teleport “arrow” you just click on) which is set up as a 10m X 10m cube with black grid lines every 1m and a red grid line every 5m. A suggested test is to stand at the centre (5m X 5m) point (which is when you arrive when you teleport up) and look straight ahead with eyes level. 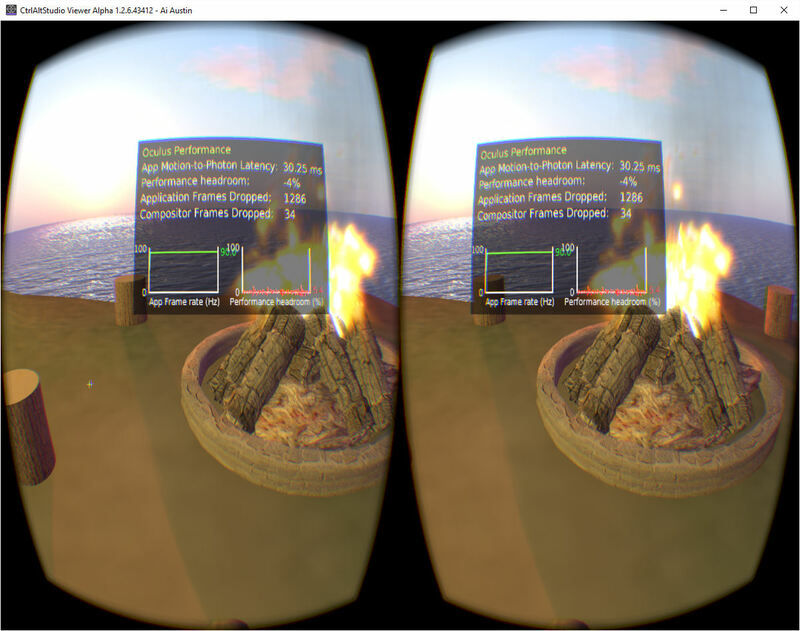 Then observe what you can see in the 2D monitor view, in the mirror screen while in Riftlook, and compare that to your Field of View (FOV) when in Riftlook. 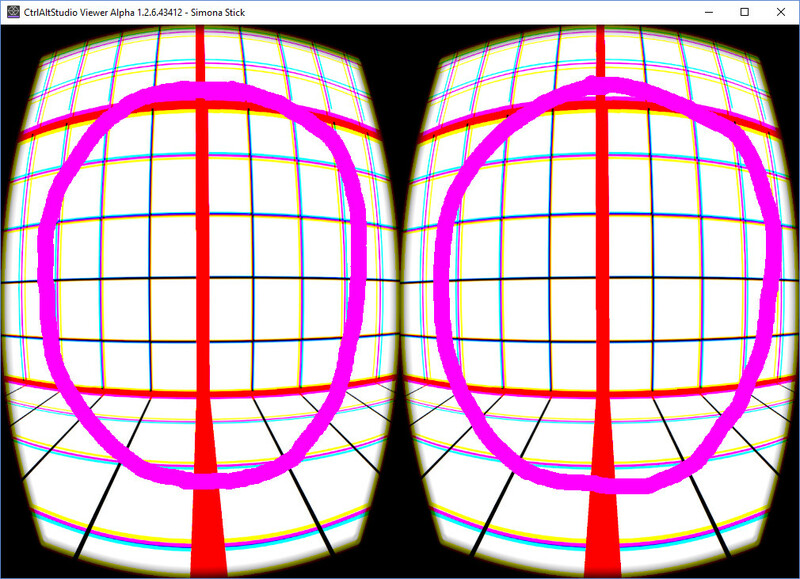 The magenta circle shows the part visible to me in CtrlAltStudio RiftLook with standard FOV settings in an Oculus DK2 with “B” lenses (for moderate short- or near-sightedness) when the avatar is stood at the centre point (5mx5m) and looking straight ahead with a realistically sized avatar (approx. 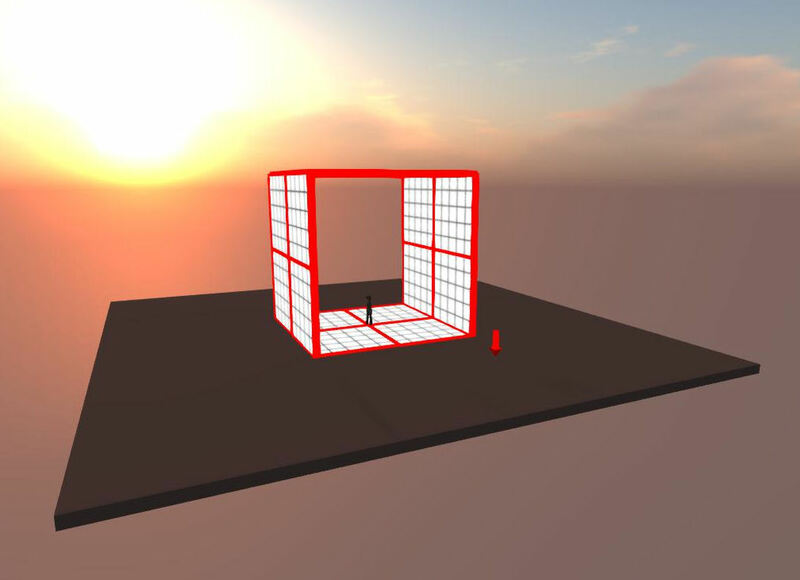 1.8m high) using Riftlook 1st person perspective. Oculus CV1 with VR Lens Lab Lenses -1.75 dia. As a comparison, I get a wider field of view when using the CV1, fitted with VR Lens Lab lenses (for moderate short- or near-sightedness -1.75 dia.). In the image below, the cyan circled area shows the FOV in the CV1. 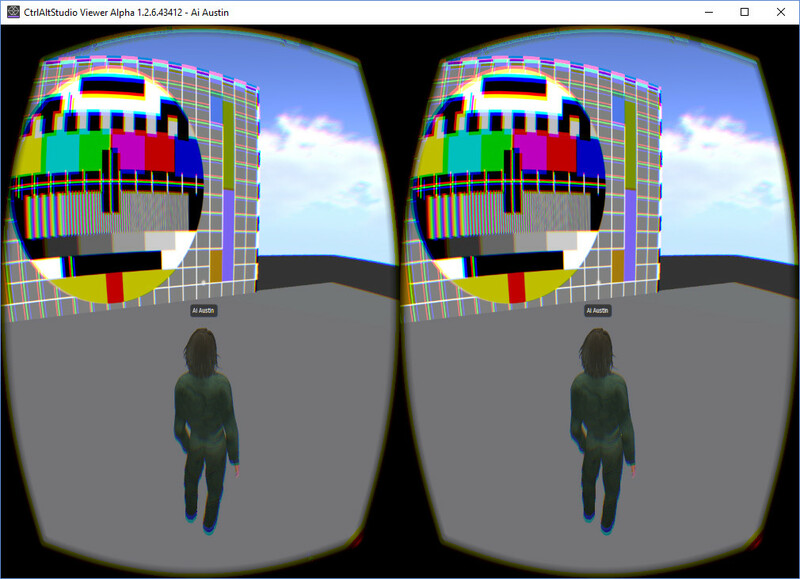 Note that in a test with constant lighting (midday selected) with “High” graphics settings and no shadows that the VR on-screen mirror and HMD view (as shown in the LEFT hand image below) closely matches the normal 2D view colours on screen. 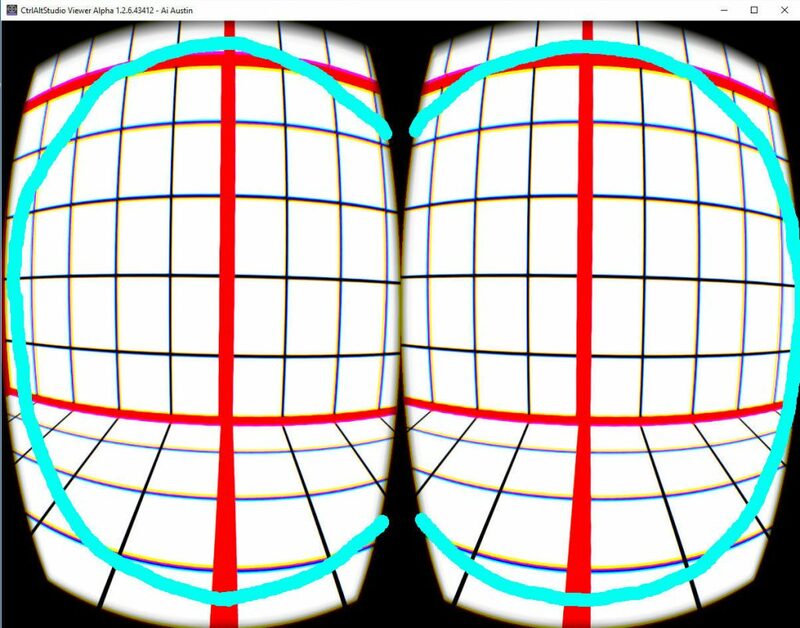 But when “Ultra” graphics settings and all shadows is selected the VR view (in both the DK2 HMD and on the on-screen mirror) is lighter and a bit more washed out (as shown in the RIGHT hand image below) than the normal 2D. 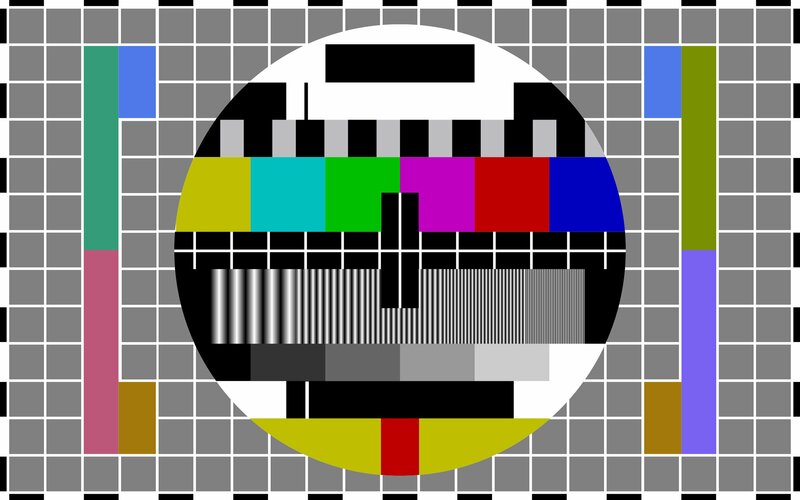 The screen test card itself in all views looks very constant in colour. This may be because it is set to be “full bright” and hence is self illuminated. 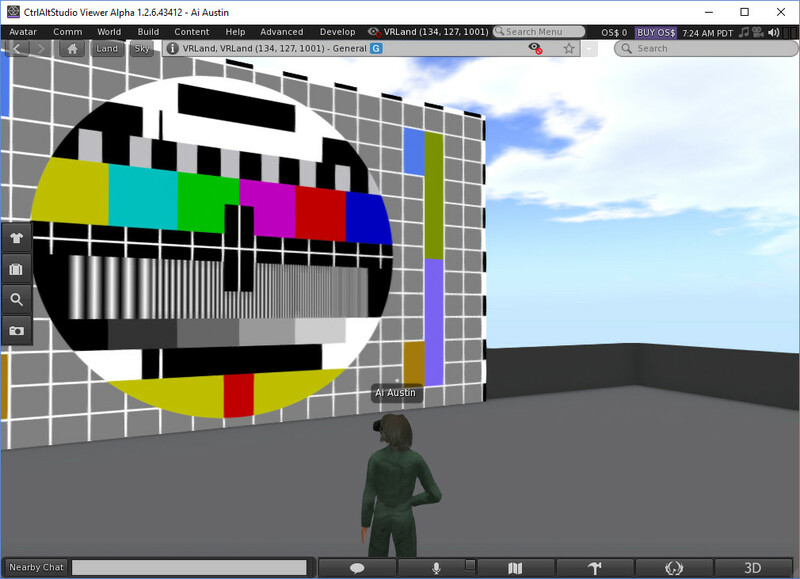 Its just the grey platform, avatar and sky that looks paler when the “Ultra” graphics setting is selected. Just disabling shadows when using “Ultra” settings does not change things and the HMD and on-screen mirror still show the paler washed out colours. After a bit of digging around and trying various settings, it seems that just turning off “Atmospheric Shaders” or “Bump Mapping and Shiny” when “Ultra” has been selected is sufficient to correct the colour. But of course those also disable shadows and other properties. 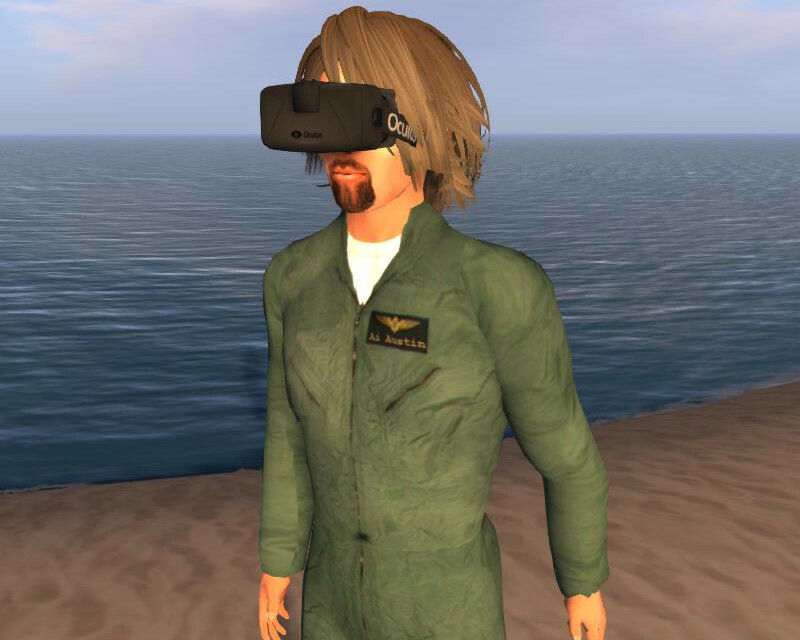 These tests used software and drivers up-to-date as at 22nd July 2016: CtrlAltStudio Viewer 1.2.6.43412, Oculus 1.6.0, Oculus DK2, Nvidia GTX980. This entry was posted in Oculus, OpenSim, Virtual World, VR and tagged Oculus, OpenSim, Rift, Virtual World, VR, VRLand. Bookmark the permalink.